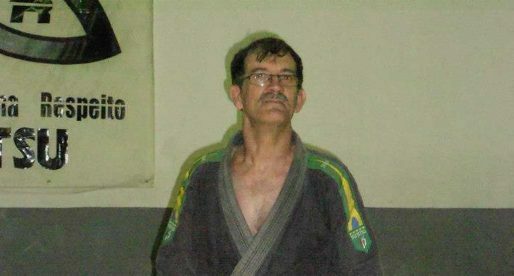 Pedro Gama, commonly known as Pedro “Gama Filho” is a historic figure for grappling based combat sports in Brazil, particularly for Brazilian jiu jitsu and judo. 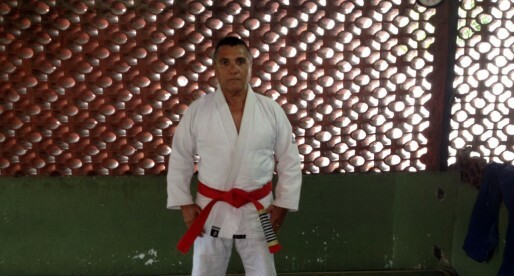 A black belt in karate, judo and jiu jitsu (under Reyson Gracie and João Athayde), Gama Filho’s deeds were vast and resonated throughout the country. Among his greatest achievements were Pedro’s efforts towards placing jiu jitsu in the Physical Education curriculum, which made BJJ accessible to over 60,000 children; his work in creating the “Reação” Institute, which allowed for thousands of underprivileged kids to access judo (many of which became international level athletes), his influence in the creation of teams such as GFTeam and Nova Geração, and above all his efforts in raising awareness for jiu jitsu and judo athletes in Brazil. Nickname: Known as Pedro “Gama Filho” due to his work with the “Gama Filho” University in Rio de Janeiro – Brazil. Pedro Gama was born on February 28, 1945 in Rio de Janeiro – Brazil, being the son of a former Brazilian Minister, Luiz Gama Filho. The Gama family was a very important bloodline in Brazil during the 20th century, not only politically, but also by founding the Gama Filho University (Universidade Gama Filho, often mentioned as UGF), a beacon for the private school system founded by Luiz Gama Filho in 1939 (earning the title of University in 1972). Under the ruling of Pedro Gama (who took the role of his father at the helm of the institution in the 70s), the university became one of the most prestigious schooling institutions in Brazil, reaching 15,000 students at its heyday and gaining recognition as the production line for Olympic Brazilian athletes in a variety of sports. Pedro Gama Filho started his martial arts experience through karate, training for many years with Sadamu Uriu. In his adolescence he added jiu jitsu to his activities, training under the watchful eye of the legendary João Alberto Barreto. Years later, when Reyson Gracie and João Athayde opened an academy in the neighbourhood of Copacabana, Pedro switched to their camp, where he earned his black belt from both coaches at the age of 25. Pedro’s coach, João Athayde would go on to purchase Haroldo Brito’s judo academy (a former Gracie student). Athayde didn’t run the gym for long, as he switched careers by becoming a full time lawyer. João passed the academy’s lead to Gama Filho, who this way became closer to judo. At the time jiu jitsu competitions were scarce and as a result Pedro submerged himself in the judo competition scene. Martial arts were a big part of Gama Filho’s life, having also practiced luta livre, training with his friends Roberto Leitão and Ricardo Calmon,while boxing with coach Santa Rosa. In 1975 the Gracie Academy defeated the “representatives” of karate in a famous challenge. According to Reila Gracie’s biographical work on Carlos Gracie “Criador de Uma Dinastia”, Helio Gracie‘s boasting comments did not settle well with Pedro Gama Filho, particularly those that mentioned jiu jitsu as the “superior combat martial art”. Gama Filho presided Rio de Janeiro’s boxing athletic commission (Federação Carioca de Pugilismo – FCP), which superseded all combat sports federations in the state. Given his position, he decided to address the bragging in a national newspaper (Jornal do Brasil). In his open letter, Pedro mentioned that none of the karate competitors who had fought that day had any placement in the state’s karate rankings. His comments meant to explain that the Gracie’s had competed against amateurs, and Pedro went further as to extend an invitation for the Gracie academy to compete against the freestyle wrestling or judo olympic team in a sporting environment, which in his own words “would provide a great service to combat sports in the country.” Pedro also mentioned that there is no superior style, adding to his argument that if the JJ vs Karate display meant that jiu jitsu was superior to karate, then Kimura’s win over Helio must’ve meant that judo was superior to jiu jitsu. After reading the letter, Helio invaded the local TV broadcast to challenge Pedro to repeat what he had said live on television in his presence. Gama Filho was told of the “invitation” and drove to studio, though by the time he arrived the Gracie patriarch had left. Shortly after the TV studio incident, common friends organized a friendly gathering between Helio and Pedro, where the two settled their differences cordially. 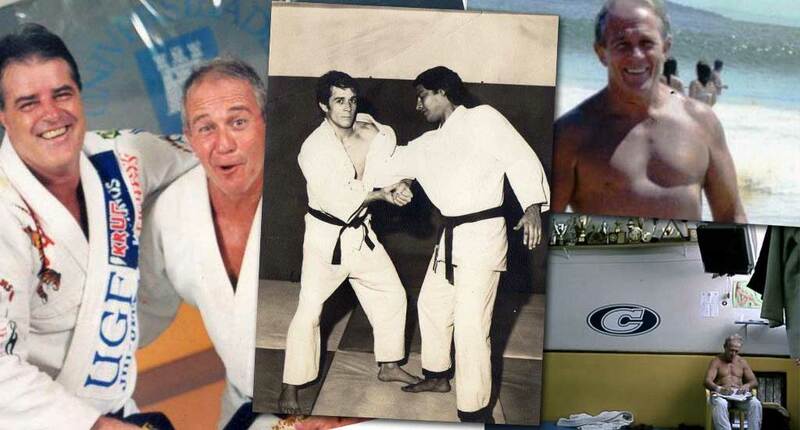 As time went by Gama Filho’s relationship with the Gracie family vastly improved, particularly through his close friendship with Carlson Gracie. Around 1982, after an argument with his family, Pedro decided to step down from his role within the university. As he needed to pay his family’s bills, Pedro joined forces with Paulo Jardim (also a judo black belt) and moved to gold rich “Serra Pelada” in Pará, to join a gold-digging venture. We were told many interesting stories arose from this undertaking, but too many to write in this article. A few years later Gama Filho made peace with the family once again, returning to Rio de Janeiro to take the lead of University as a sports director. This was when Pedro created the famous project: Projeto Educação Criança Futuro, a project helped over 60,000 children through the course of its existence, by making jiu jitsu a part of the Physical Education curriculum. In 1986 Pedro Gama Filho was shot in the neck after trying to prevent the murder of Edson Leandro Silva “Sansão” (Samson). Sansão had been one of the biggest judo stars in Brazil during the 1970s, and was a good friend of Pedro (who godfathered Edson’s daughter). At the time Gama Filho was leaving a barbecue when he saw two armed men getting ready to execute Silva on the street, he immediately jumped on the two thugs, but was unable to control both as (according to our sources) Edson fled the scene. While grappling with the hoodlums Pedro was shot twice in the neck. He later found out that the two armed men were there to settle a score started with an argument Samson had had with the son of a known drug dealer. Pedro survived the attack remaining in hospital for two months, spending the following year walking with the aid of cervical spine bracing. One of the bullets from the attack remained in his body for the rest of his days. 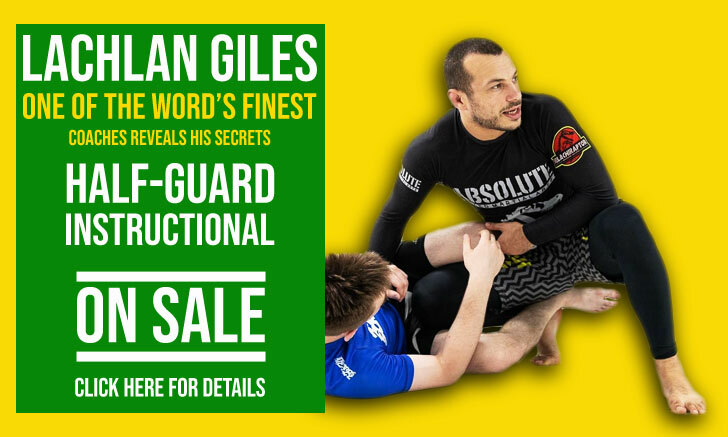 While recovering he helped establish a new team in jiu jitsu, Nova Geração. The team was created by Francisco Albuquerque and Rodrigo Medeiros, two students of Master Carlson Gracie. As both Albuquerque and Medeiros were purple belts at the time, they didn’t hold the required rank to open their own academy. For this reason the convalescing Gama Filho, took the role of technical director of the academy, maintaining its relationship with NG for many years. Gama Filho’s vision was to bring meaning to people’s lives through sports, and jiu jitsu was a big part of this idea. Although there was a strong pro judo lobby in the University, in 1996 Pedro managed to create the Universidade Gama Filho’s jiu jitsu team, a project that started in 1993 with the help of Fernando Pinduka. Named UGF (Universidade Gama Filho), the team’s first coach was in fact Pedro, who later passed on the torch to Julio César. With the support of Gama Filho, the team went on to become one of the strongest academies in the country, developing names such as Bruno Malfacine and Rodolfo Vieira. After the death of Pedro Gama Filho (2004), the team lost that support and eventually had to leave the University campus, being also stripped of the Gama Filho name, a sequence of events that led to the birth of GFTeam. Aside from creating one of the most famous judo teams Brazil had ever seen (UGF), and handing out numerous scholarships to underprivileged athletes (in judo and jiu jitsu) one of Gama Filho’s greatest contributions to judo was the creation of JUDOGAM, a tournament that had a very positive impact, particularly in the propagation of the sport by bringing international stars to a national competition. This way not only raising awareness to judo within the media, but also helping national athletes gain international experience. Pedro was also one of the great instigators for the development of the “Instituto Reação”, an NGO (non-governmental organization) designed to encourage human development and social inclusion through sport and education, promoting judo from the beginner stage to the highest level of performance. The project was presided by one of Gama Filho Judo Team’s biggest products, Flávio Canto, and developed high end talent in judo, such as world champion Rafaela Silva. Fascinating article. I remember very fondly training every day for two months at NG where PGF and his son would always be. His son, as well as being a jiu jitsu brown belt at the time, had done a lot of wrestling training in Portugal. Thinking back, PGF actually signed my blue and purple belt certificates (longs stays in 2000 and 2003). Amazing to have experienced the Rio jiu jitsu establishment.